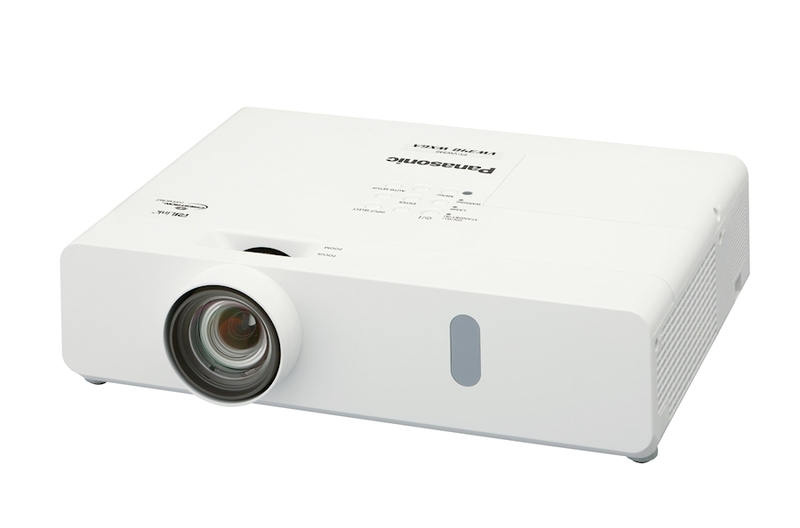 The Panasonic compact PT-VW350 series is the industry’s lightest and smallest 4000 lumen class LCD projector. 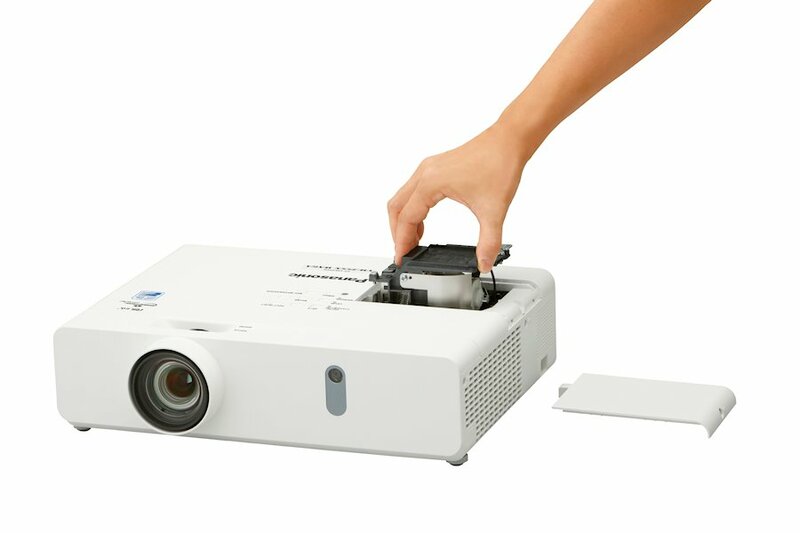 The portable projectors of this series feature an industry-beating 12,000:1 contrast ratio and, thanks to an innovative cooling system, they are the lightest in their class at just 3.3 kg. 4,000 lm brightness in WXGA resolution. High 10,000:1 contrast ratio for sharp, detailed pictures. Quiet 37 dB operation in Normal mode (29 dB in Eco mode). Extended lamp replacement of 5,000 hours in Normal mode (7,000 hours in Eco mode). Daylight View Basic function for clear and bright images in well-lit rooms. 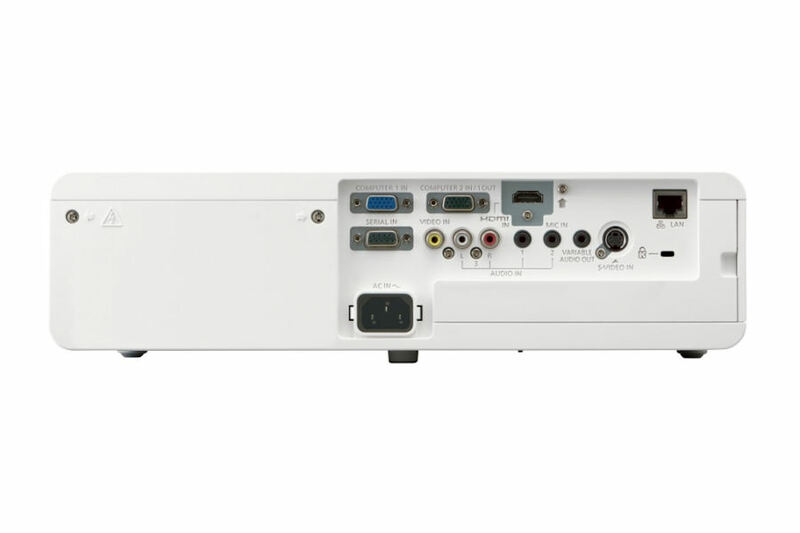 The PT VW350a model includes an HDMI input, monitor out, and two D-sub inputs as well as an inbuilt 10W speaker. 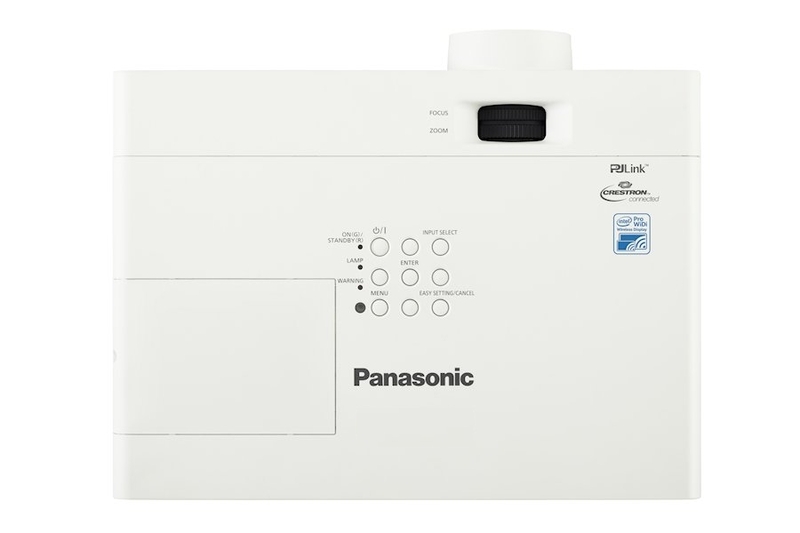 Panasonic’s Daylight View Basic technology achieves sharp, easy-to-see images by clearly reproducing the details in dark areas of the image, which were previously difficult to see in brightly lit rooms. 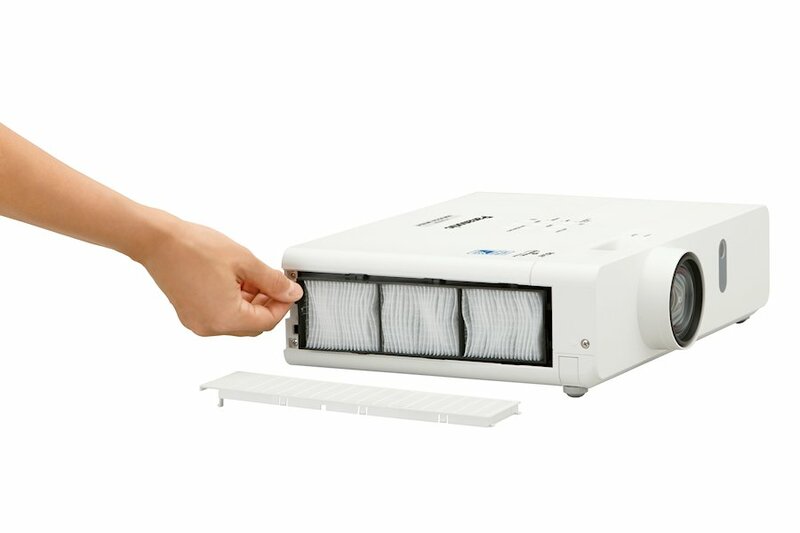 A built-in sensor measures the ambient light, and Daylight View Basic function adjusts halftone color and brightness levels according to the surrounding illumination. fan hardly audible, minimizing distractions during presentations. Designate four corners on the projection surface and horizontal and vertical corner keystone correction creates a perfectly symmetrical image. PT-VW350 Projectors connected via wired LAN can be remotely operated and their status checked using a PC web browser. An e-mail messaging function can notify the administrator when servicing is required, and also indicates overall projector status. 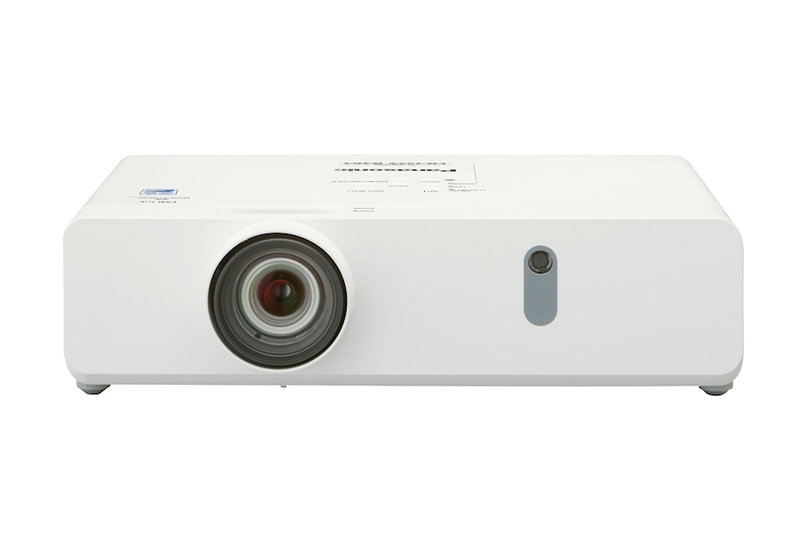 Multi Projector Monitoring and Control Software makes it possible to monitor and control multiple Panasonic projectors from a single PC. Furthermore, the wired LAN terminal is compatible with PJLink™ (Class 1), an open protocol that is used by many manufacturers to enable integrated control of systems that contain different projector brands. 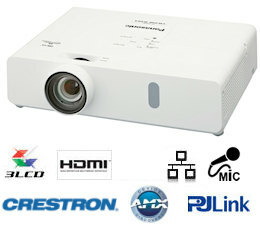 The VW350 projector’s LAN terminal allows a network-Connected computer to use Crestron Connected software to manage and control system devices. AMX Device Discovery technology is also built in. 1.6x zoom lens provides installation and setup flexibility. Vertical, horizontal, and Corner Keystone Correction for angled projection. Auto Input Signal Search function automatically detects input signals. 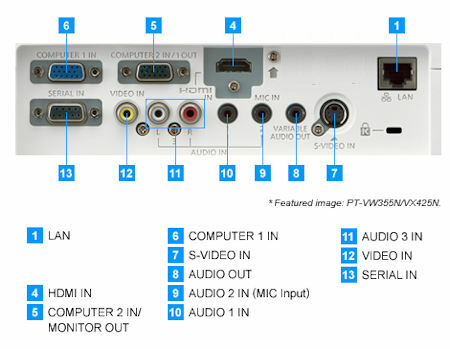 HDMI x 1, D-sub x 2, monitor out x 1 terminals. Built-in 10 W monaural speaker. Lamps can blow, if you need your projector working and can't afford down time, you may need to keep a spare lamp. The replacement projector lamp for the Panasonic PT-VW350a is the ET-LAV300.